Kinnection Campout & the Tribal Council family has radically changed my life. It’s unfortunate transformation has become clung to a trendy ideology of self idolism and commercial festival brands, but it is under no false pretenses when I say, Kinnection transformed me. I welcome these fundamental changes to my being, hopefully, in time. I say, in time, because I’m not sure if you know this, but we are all living in an unprecedented age of technology, climate crisis and global transformation. This awakening of sorts is akin to a jolt to attention when driving.The jolt brings you to realize you you’re drifting off and saves you immediately from certain harm or death. This is the condition of our present time. The need for radical changes to the way we do pretty much everything is huge! I’m talking about large-scale shifts not only to our industrial, energy, and economic systems, but even to our cultural identity, ego, and way of living. While we know that the need for change is absolute, the solutions for change are much more vague, especially considering how divided, disempowered, and distracted we the people are. Changing culture, changing infrastructure, changing habit is difficult. We need everyone and what everyone can bring to the table in order to really do this: widespread and unanimous. As many know it, ‘the long winter is coming’ and all people on this planet are affected. A metaphor for the devastating and catastrophic climate happening now, and that will continue each year, month, and passing day. The oceans are now expected to rise 10ft in the next 10 years and as it’s looking quite possibly more. (Check out that reality thanks to National Geographic Interactive Map!) This is just one of the various climate related, food/water supply, energy issues. Meanwhile, we also have unprecedented droughts, earthquakes, storms, the bees are dying, the oceans are toxifying, losing 2 inches of topsoil per year, it goes on for quite awhile…I understand it’s difficult for the message to really sink in. Maybe you are in the quiet before the storm. Appreciate it. Although, for most people and depending on where you live, it’s not so quiet anymore. Have no doubt, that what we need now more than ever, is strength and community resiliency. We need to be able to support each other in the coming times and to do that, we need to come to together. We need to gather to tackle these threats and solve our problems. 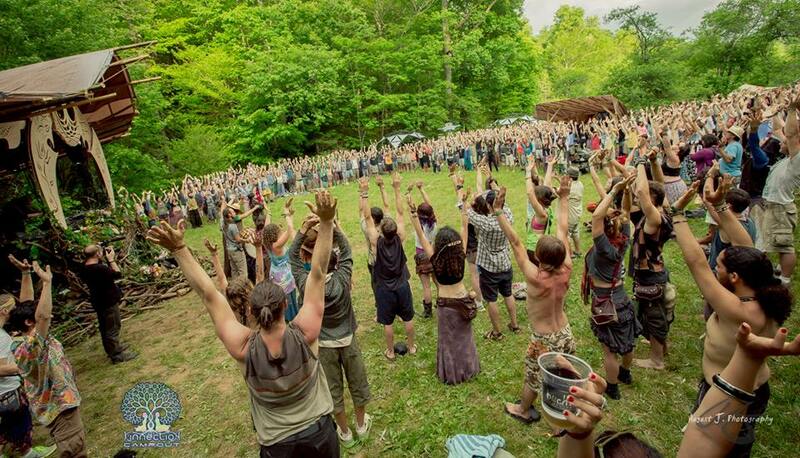 I believe that Kinnection and festivals alike are these gathering grounds for us to come together, to gather, heal, purge, learn permaculture, communication and community skills, celebrate ecstasy, love, music, art, but most importantly, for us to connect and talk. We can see each other face-to-face, from all different backgrounds, places, and gather by the thousands to share ourselves and learn from our community; bring this community mentality to where we live and continue to do the work. 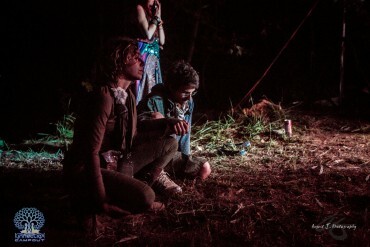 Festivals allow for a re-imagining of what is and provide ripe opportunities for collaborations, sharing, and simple connecting. It can be like how the internet brought TED Talks with new and innovative ideas to the millions, intentional gatherings via the network created can bring community awareness, meaning the tangible skills to maintain a community, to the millions. 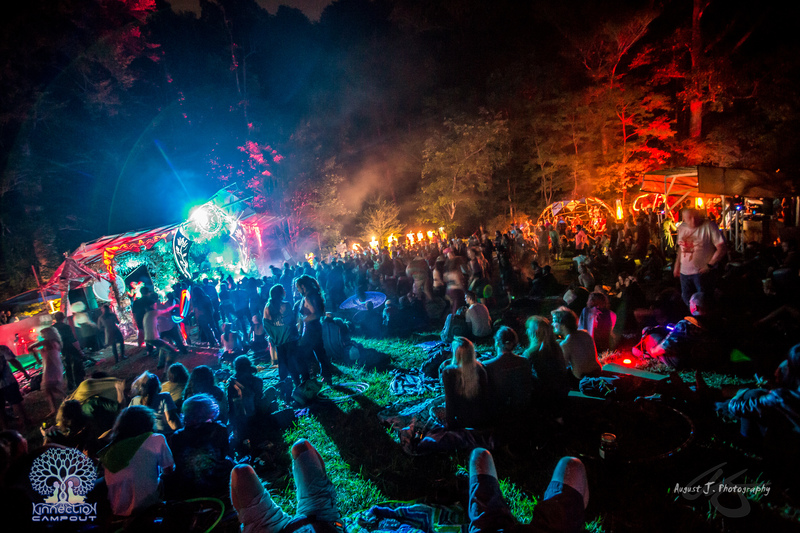 Kinnection Campout 2015 went beyond any normal festival that I’ve been to and is rightfully described as an intentional gathering. 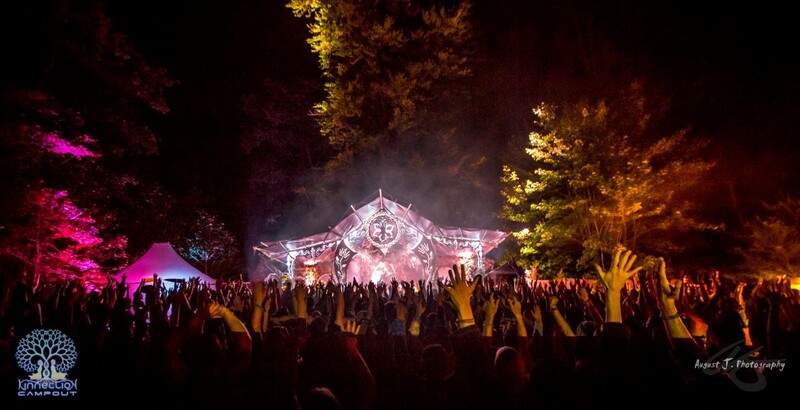 Perhaps, Lucidity Festival in California and Boom in Spain are pioneers as well. 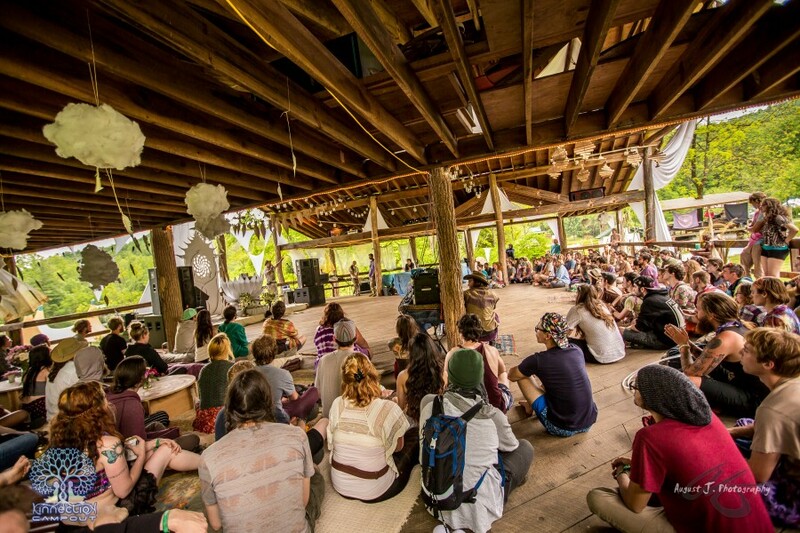 Kinnection is a small, intimate, community-focused festival encouraging patrons to foster lasting connections over the weekend and integrate tangible skills and holistic practices into their lives. It was practically a conference during the day with over 100 hours of classes running in 8 workshop spaces over the 4 days. They brought in professional regional instructors to take home skills and practices to make lifestyle changes beyond just the weekend. 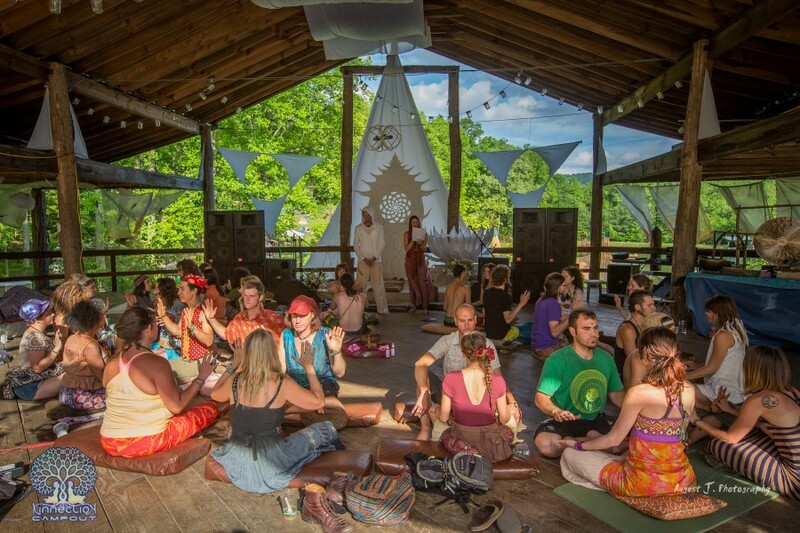 For Kinnection goers it was a cross-pollination of music, yoga, sound healing, physical touch, earthskills, empowerment, heart opening, meditation, plants and medicines, spiritual experiences, and so much more. You can’t really talk about Kinnection Campout without mentioning Clayton Gaar and Taylor Pearon. Clayton and Taylor are the two visionaries that through a rigorous year of planning and complete dedication pull off Kinnection. 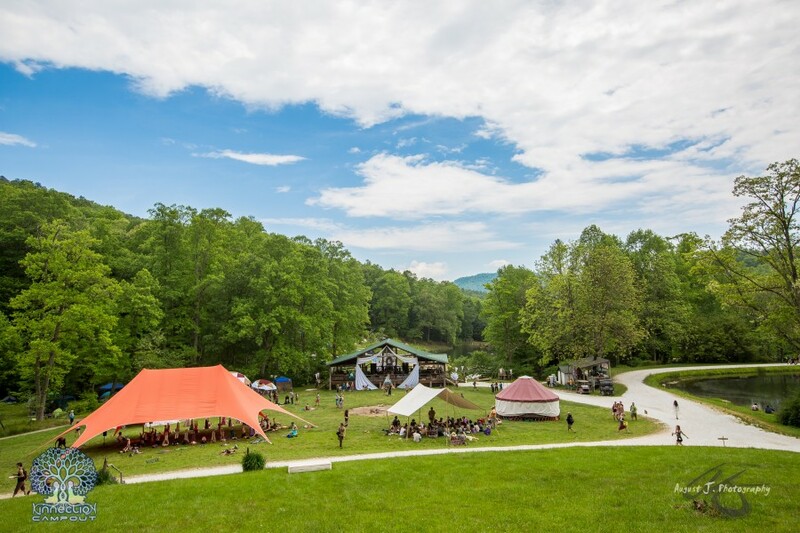 They started a few years ago as a small campout trip for friends and family of Tribal Council, at the time, a festival-touring group providing a healing dome area for holding space and workshops. Their vision grew larger and Kinnection was born. This year was the second year of Kinnection and fourth Campout. Clayton & Taylor really believe we can create a rich, deep culture and real community through their event and connected to the larger planetary transformation.These are my words, but they are much more humble about what they’re up to. They are challenging us and our community to do what is possible and necessary. 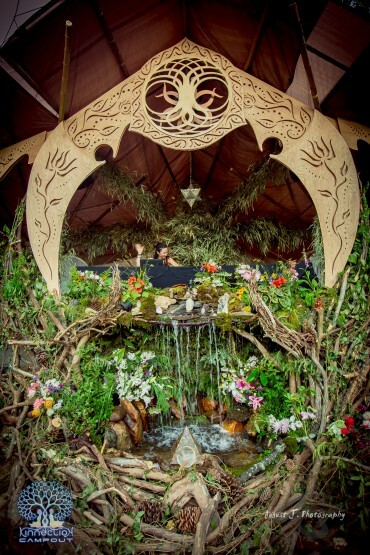 They provided the container to gather under the right intentions and successfully executing a beautiful vision to create a blossom of potential experience for each person in attendance. I am grateful I was a part of Kinnection and able to experience the space they provided. I titled this article the ‘Fountain of Power’ because so much of my personal development is intertwined with my Kinnection experience and the network of friends, I now call my family. It has given power to my path and inspired me to pursue cultural and planetary regeneration despite how hard it’s going to be. It’s not a matter of choice really. We all make the choice every day and soon, the ‘long winter’ will be upon all of us and, hopefully, we gathered enough times to learn enough, to connect enough, to be strong enough to survive. I have full faith we can do this when we activate. Don’t be afraid, get active. This is a call to action to take responsibility for your own actions and the consequences they are having on us all. Continue to connect, learn skills, adopt practices, share, and develop community. Cultivate love and compassion in your being to heal your mind and body. I believe we are all in this together. Breathe. My name is Zac Fabian. I was the Media Director for Kinnection this year, helping support and coordinate media, and producing post-video content. 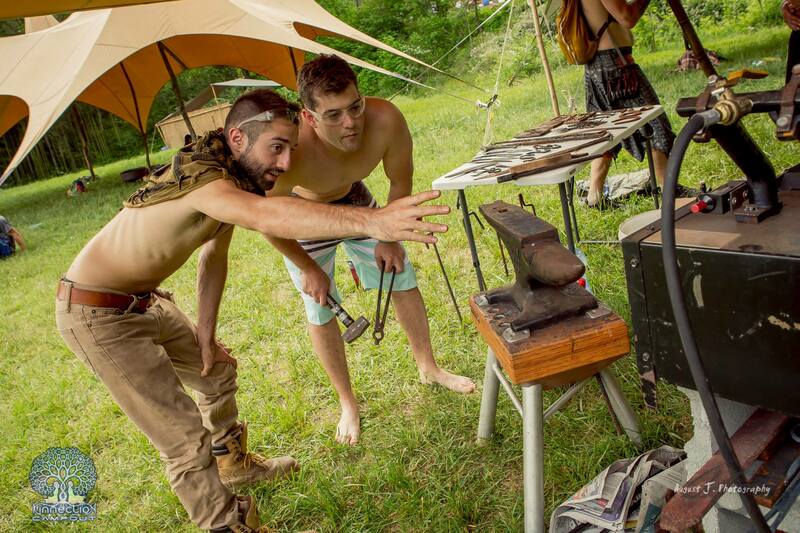 I was fortunate enough to have connected with Clayton at Envision Festival in 2013 and he invited me to my first TC Campout. From that experience, I started connecting with people I only just met on a deeper level then I had experienced in my life.